DETROIT -- Another problem has developed with automotive air bags, this one resulting in recalls of up to 5 million vehicles worldwide. Continental says less than 2 million of the affected vehicles are in the U.S. Additional manufacturers involved in the recalls will come later in a filing with the government, the company said. The U.S. safety investigation is still under way. It began in August after NHTSA found 19 complaints that air bags didn't inflate in crashes of older Honda Accords. 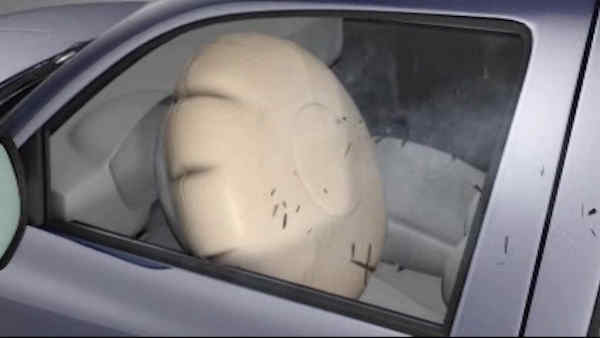 A driver in Belleview, Florida, was injured when his car hit a concrete wall at 50 miles per hour and the air bags didn't inflate, according to a complaint filed with the agency. Several others complained that the computer had to be replaced to fix the problem and they were charged around $500. "This also means that the safety of the vehicle passengers and operators are in jeopardy and potentially face serious injury or death," another complainant wrote. People filing complaints are not identified in the agency's database. Honda said it would notify owners about the problem, but repair parts won't be available until fall. Drivers with an activated supplemental restraint system light should visit a dealer for a repair from the limited number of parts on hand, the company said.